Dried kiwi fruit is an awesome ingredient in granola and trail mix. You probably haven't tried dried kiwi fruit because it's not often available in stores. They pack a lot of flavor and can offer some nice variety to the usual dried fruits for backpacking. In California their harvest season runs October through April, so don't wait until the hiking season to dry some. It's not very often that one runs across dried kiwi fruit in conventional food products. Though it's a curious contender for the dehydrator, dehydrated kiwi fruit a a surprisingly delicious and healthy snack, sparkling with flavor. As a snack when hiking, dehydrated kiwi is delicious when eaten plain, in fruit trail mixes, granola, and oatmeal. They can readily substitute for dried strawberries in breakfasts and desserts. As far as drying fruits is concerned, it is remarkably quick and easy to dry kiwi in a counter-top food dehydrator. When drying kiwi, the fruit will benefit from a pre-treatment with ascorbic acid, sulfite dip, or syrup blanching to prevent oxidation and discoloration. Rinse the kiwi fruit in cool water. Peel the skin with a vegetable peeler or a paring knife. Quarter the kiwi fruit, or slice into rounds about 1/4" thick. 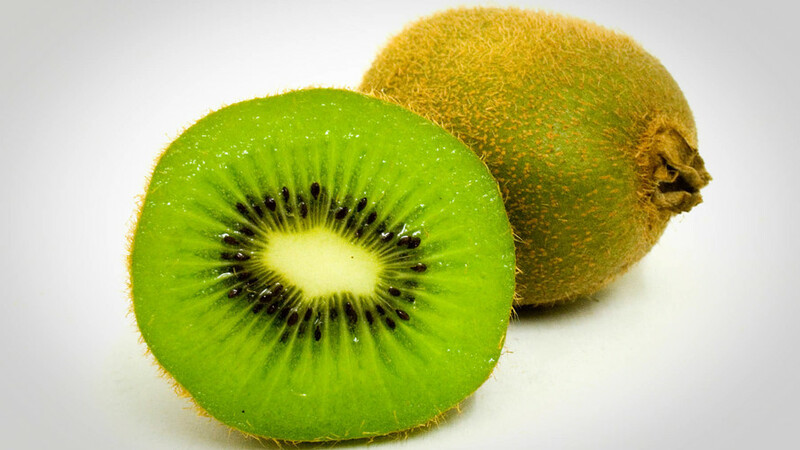 Soak the kiwi slices in ascorbic acid solution for 3 minutes. A sulfite dip or syrup blanching will also suffice. Syrup blanching can bump up the sweetness if the kiwis are particularly tart for your taste. For easier clean-up, line the food dehydrator tray with a layer of food-safe nylon or polypropylene mesh to prevent the kiwi fruit from sticking to the stray. Place the kiwi slices in the dehydrator trays, a single layer thick. Setting the food dehydrator temperature to 135° F, dehydrate the kiwi fruit for 5-8 hours. The dried kiwi fruit will be ready when it feels leathery, slightly sticky, and no obvious moisture is present. For best results, vacuum-seal the dried kiwi fruit (or store sealed in freezer bags) and keep them in the refrigerator or freezer until you are ready to eat them.